I will be at the VLC meeting this month and I will be bringing a bag stuff to sell or trade! 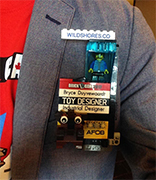 I have attached photos below, if you want to find me at the meeting just ask around for "Bryce". If anyone happens to have spare Technic gears to trade, bring as many as you like and we'll work something out. See you at the meeting!